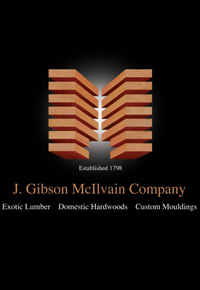 As the first hints of spring began to chirp and emerge from the frozen ground after a particularly harsh winter, many homeowners and contractors began gearing up for what we like to refer to as “decking season.” For those who know decking lumber, Ipe is the hands-down species-of-choice for the job. However, those who attain this sought-after decking species in 2014 will be fewer in number than usual. Now before anyone goes into panic mode, let me make a few things clear: The current shortage of Ipe has nothing to do with its being endangered or the legality of harvesting it. For those of us who make it our business to study lumber industry trends, the shortage of Ipe comes as no surprise. Combined with a basic knowledge of the Law of Supply and Demand, many of us have been bracing ourselves for the day when the growing global demand for Ipe would clash with the saw mills’ ability to keep up. Just as parts of North America experienced an unseasonably cold and snowy winter this year, South America was hammered with a particularly long rainy season, which began months earlier than usual. As a result, the amount of Ipe able to be harvested and milled before the rainy season hit was far smaller than anticipated. 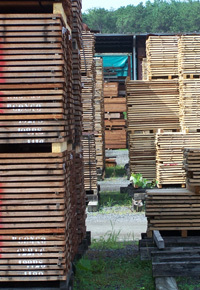 The way the typical rainy season hits where Ipe is harvested means North American suppliers have to purchase the lumber for summer decking demands back during the winter or early spring. However, this year, most of the Ipe harvest will not be ready until fall. Since everyone knows Ipe is a hot item for summer, the idea of tying up valuable capital by purchasing it in the fall and holding it for nearly a year leaves lumber suppliers in quite the hard place. Many have simply had to cancel their orders, due to the postponed ETA. This wane in supply happens to correspond with the height of the global demand for Ipe. As a result, the heat of the summer here in North American will likely correspond with a dearth of Ipe. The lumber harvested for those cancelled orders no one wanted to be delivered in the fall will likely become mixed with the next year’s supply, making for a greater variety of color, grade, and even size. Why size? The previous year’s boards will fall prey to weathering and will, therefore, require sanding in order to remove graying and appear fresh in order to better blend in with newly cut boards. With the high price tag already attached to Ipe, this kind of inconsistency will cause even less stability to the market. Part of the reason Ipe has not become an endangered species can certainly be chalked up to the governmental regulations prohibiting illegal and irresponsible harvesting. At the same time, the recent attentiveness to legal importing has led to an increased market for legally harvested Ipe. While that news is positive in many ways, it also means that the supply chain has an added stress of greater demand than ever before. Historically, such a significant increase in demand, combined with dramatic problems with supply, typically leads to a global disinterest in a lumber species. 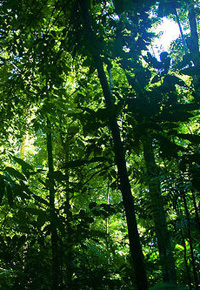 An example of a similar situation would be Genuine Mahogany, when it was listed in CITES as an endangered species. Instead of protecting the species, as the regulations were meant to do, they contributed to sky-rocketing prices, which caused customers to pursue other, more affordable, species. 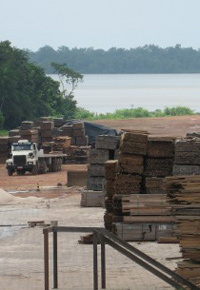 With a more difficult set of regulations to uphold and decreased demand, many mills ceased production of Mahogany. Ironically, the changes to the Genuine Mahogany market helped lead to the genesis of the Ipe market. How does Jatoba decking compare with Ipe decking?